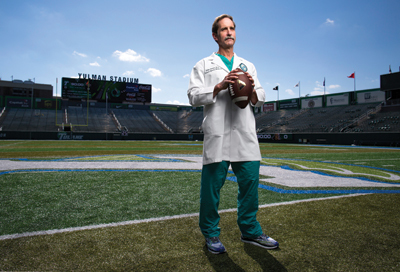 Tulane Institute of Sports Medicine’s Chief of Sports Medicine is a world-famous medical savior. Tucked away on Tulane’s campus in the Institute of Sports Medicine building sits one of the world’s leading orthopedic surgeons. Dr. Felix H. “Buddy” Savoie III has acquired an impressive list of accomplishments. Not only is he renowned the world over as one of the top surgeons for the overhead athlete, but he has also performed over 40,000 surgeries since he first began practicing in the early 1980s, and he travels around the world to teach and operate. 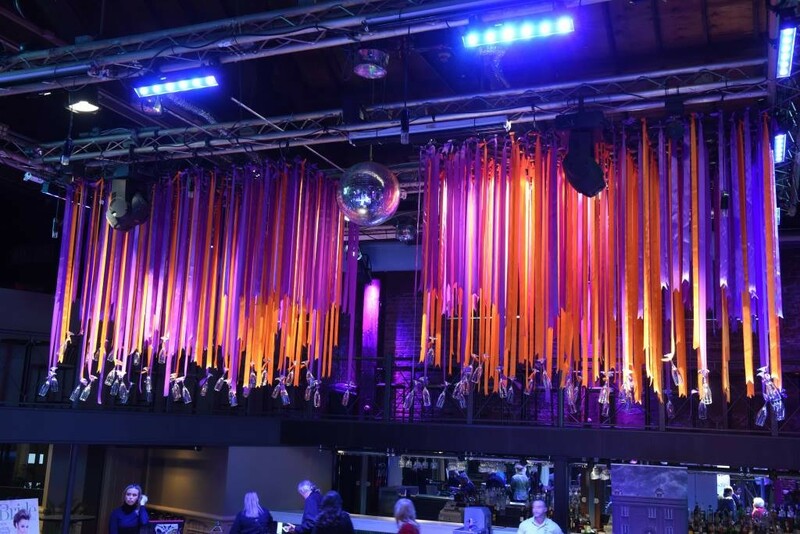 Then, of course, there are the “fun facts,” the ones involving Sylvester Stallone, a sore shoulder and a special invitation to the Los Angeles premiere of The Expendables. Where his impact truly reveals itself is in the halls of Tulane Institute of Sports Medicine, where he works as Chief of Sports Medicine. His patients excitedly greet him with news of their progress, and he returns their enthusiasm with equal measure. In a given year, he performs about 600 surgeries, with about half of those numbers coming from the New Orleans area. The rest pertain to patients from the other 49 states and beyond. “I think the last time we checked it was about 24 foreign countries where people had flown in,” he says. When medicine first called his name, to put it in prosaic terms, his path seemed set for a different course. Growing up in southwest Louisiana, “on the bayou,” as he describes it, Dr. Savoie had other aspirations. His family mostly worked in the sugarcane industry, but one particular uncle, Dr. John Savoie, was a family practitioner in Donaldsonville. It was his influence that led Dr. Savoie to pursue family medicine. Two chance opportunities altered that course. The first took place when he came upon a presentation Dr. Donald Faust was giving to other “hand guys,” as they’re called in the field, at Charity Hospital. “They were having the most delightful time” Dr. Savoie recalls, “so I thought, ‘Whatever they’re doing looks pretty cool.” That led to an orthopaedic rotation and from there the rest is history, as they say. A residency at the University of Mississippi Medical Center led to fellowships in West Virginia, Switzerland and at the Mayo Clinic, which exposed Dr. Savoie to new techniques. Beyond learning from others, there exists in him a drive to go beyond what’s known in his field. His former mentor and good friend Dr. Richard Caspari, whom he worked with in West Virginia, told him, “Orthopaedics is traditional and you should always ask, ‘Why do you want to do it that way?’” Dr. Savoie often dreams up new ideas, which he then explores at Tulane’s cadaver lab. He will practice until he sees true results. “Some of the stuff we’ve done that hadn’t been done before is now commonplace, but it took a lot of practice to make it work,” he says. Hip or knee replacements and other such major surgeries require a major opening, but working on the shoulder or elbow can often be done arthroscopically, which lessens a patient’s pain and recovery time. Dr. Savoie discovered a way to shift the type of surgery performed on multidirectional instability, a rotational instability with dislocations in multiple directions. “The standard operation for that was a big open incision, huge capsular shift,” Dr. Savoie explains. “I came up with a way of doing that arthroscopically.” In the early 1990s, Dr. Savoie presented his findings to the American Shoulder and Elbow Surgeons. “It’s a very small group, but it’s the best people in the world. I was only the third or fourth arthroscopy guy in this society,” Dr. Savoie says. The presentation allotted five minutes for findings and then 20 minutes for questions. As soon as Dr. Savoie stepped up to speak, he noticed a growing line of doctors waiting to ask questions. “I figure, ‘This is great. They’re going to tell me this is so nice, it’s a milestone,’” he recounts. Not so. “Every comment was about as negative as you could think of for this operation. They looked at the title and said ‘This is malpractice to fix shoulders this way.’” Even if his procedure may have seemed heretical at the time, it eventually became routine. “Ten years later, no one was opening multi-directional instability,” he says. His schedule now includes covering Tulane’s sports year-round in addition to holding clinics for athletes and local patients, performing surgeries and traveling around the world to teach and operate where invited. “This past year, I went to France, Switzerland, India, Spain, Australia, I’m going to have to look at the calendar,” he says, losing track of just how many countries he’s visited. Add to those travels, trips to Chile, Argentina and Brazil. “It was a very busy spring,” he admits. Although he will soon be approaching his tenth year at Tulane, Dr. Savoie didn’t anticipate staying in New Orleans beyond a few years. “I actually moved down here with the idea of doing it for two years, put everything back together and then move back [to Jackson]. I think I greatly overestimated my ability and underestimated what needed to be done,” he says. He has no plans to go anywhere else. He’s grown to love New Orleans, never missing a Crescent City Classic race or Mardi Gras. He even keeps a calendar three years in advance, so he can schedule his trips around those high holy days. “I can’t imagine living anywhere else,” he says.